It is from Lubbon in the Landes to the Port of Barsac that the river Ciron plays its important role in the region! Very wild natural area, the trees protect the river from the sun and allow the water to stay cool, even during the summer. Thus, morning mists form and promote the appearance of the fungus Botrytis cinerea, essential for the production of the Sauternes. Enjoy, to stop you enjoy a glass of this delicious white wine, one of the specialties of the South Gironde! Since the Ciron watershed is classified as a Natura 2000 zone, keep your eyes open during your walks. 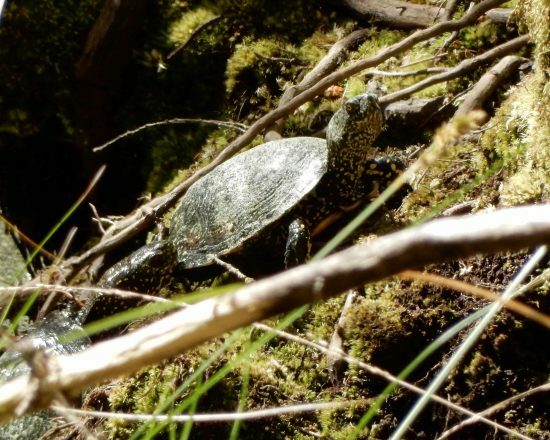 You may see an otter or a tortoise cistude hidden behind a tree trunk! For the hiking enthusiasts, many walks are articulated around the river Ciron. Put on your sneakers, plan a bottle of water, hat and mosquito lotion and let's go! 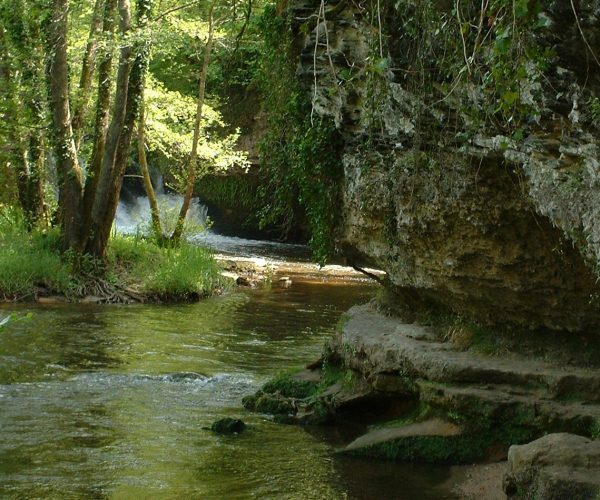 The most famous hike in South Gironde is undoubtedly that of Bernos-Beaulac. Easy to do, it's ideal for a family walk, between mills, gorges and small bridges. 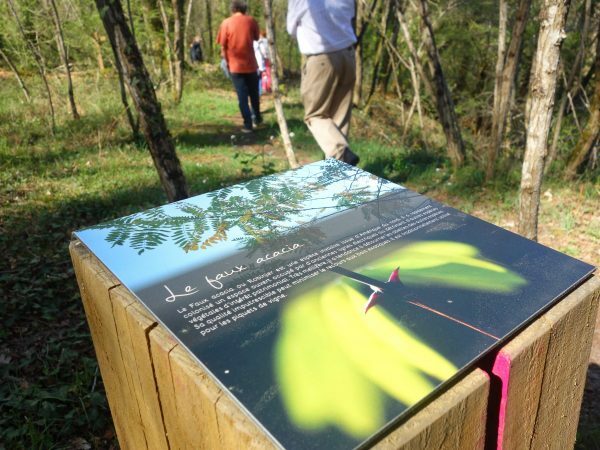 For a more leisurely stroll, the Belvédère du Ciron is an interpretation trail that offers a magnificent view of the river. At the Port of Barsac, take a break to fish or picnic in the shade of the trees. You can also discover the Ciron by bike if you prefer the two-wheeler to the hiking shoes! The circuit Ciron-Lubbon-Barsac, invites you through forests, lagoons, small villages and gorges. This course is quite difficult and is done in two days, so you have to plan a bit of training before riding on your mountain bike! Le Ciron also offers canoeing and kayaking from the nautical bases of Bernos-Beaulac, Villandraut and Bommes. For a day, paddle on the river to explore another face of the Ciron: its gorges and its canyons. You are going to Bommes in August? Do not miss the Nautical Feast of Bommes! Take part in the parade of decorated canoë-kayaks or to the surprising sound and light shows in the South Gironde! 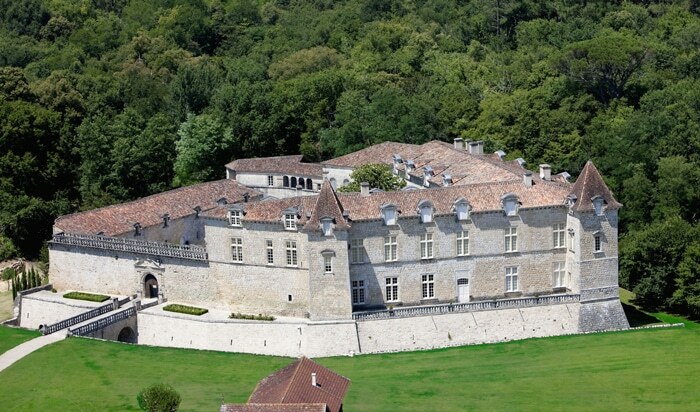 On the banks of the Ciron stands proudly the Château Royal de Cazeneuve. The residence of King Henri IV and Queen Margot dominates the river Ciron and promises you a historic and mysterious visit in the heart of a magnificent castle. Troglodyte caves that are full of anecdotes on the Queen Margot, medieval cellars, prison: the fortress reserves many surprises! But, it is by venturing into the park that you will find the Ciron and its riches: the cave of the Queen, the Garden of the queen and the giant Bamboo Garden.